Following the international break, club action returns this week, with tickets for this weekend’s Nedbank Cup last round of 16 still available. The last 16 fixtures will kick-off this week on Friday, as Magesi host PSL title-chasers Bidvest Wits. Other noteworthy match-ups include Orlando Pirates’ visit to Jomo Cosmos, the Tshwane Derby between SuperSport United and University of Pretoria, while defending champions Mamelodi Sundowns host NFD side Mbombela. Tickets can be purchased at Computicket and Shoprite Checkers stores nationwide. Tickets are selling at R40 for adults and R15 for children under the age of 12. Swansea City say they are still keeping track of Mihlali Mayambela. The English Premier League side’s Under-19s are competing in the Metropolitan Premier Cup currently underway in Cape Town, though they were knocked out in the quarter-finals. Speaking of the talent at the tournament, head coach Eric Ramsey says there is no doubt about the quality, and if there was no ‘red tape’ to take players to Europe they would’ve signed a few, with last year’s Player of the Tournament Mihlali Mayambela one that impressed him most. SuperSport United are the 2016 Metropolitan U-19 Premier Cup champions after a closely-fought 1-0 triumph over Ajax Cape Town in front of a full house at Erica Park in Belhar on Monday afternoon. Winning coach, Kwanele Kopo was delighted that his pre-match tactical approach had reaped dividends. 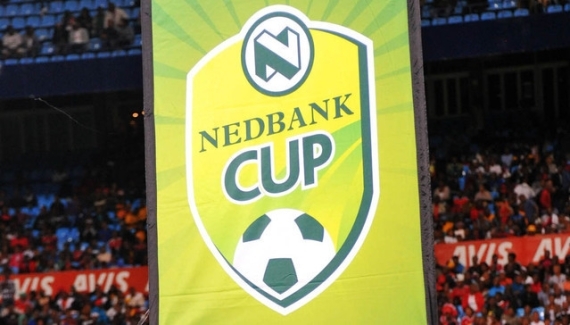 Metropolitan had originally pledged to donate R10 000 for every goal scored in the Final to Belhar-based NPO, P.R.E.C.O (Poverty Relief & Empowerment for Change Organization) but spontaneously decided to up the amount to R50 000, despite only one goal being scored in the final. The SuperSport squad received a winners’ cheque for R45 000, medals, a floating trophy and a keepsake replica. Earlier, MPCE Football Academy won the Plate Final, beating Greenwood Athletic 1-0. Hellenic lifted the Dullah Omar Memorial trophy as the winners of the Mid-Section Final after winning 3-0 against Milano United. South Africa Under-23s were taught a football lesson as they lost 3-1 to 2016 Olympic Games hosts Brazil in a friendly international on Monday morning. A second half goal from Lebogang Mothiba proved a consolation as Rodrigo Caio and Felipe Anderson scored within the first 20 minutes of the match, before Andreas Pereira sealed the win for the hosts. Kaizer Chiefs have revealed that defender Siboniso Gaxa has suffered an injury and is currently undergoing treatment. The club provided an update on their official website last Saturday, stating that the 31-year-old is "out with a knee injury and is undergoing treatment". However, it does not state the exact extent of the injury or how long the former SuperSport United defender will be unavailable for. Gaxa has seen his place in Steve Komphela's side taken by Kgotso Moleko in recent weeks, havin last played in their 2-1 league win over Matsatsantsa, and will now have to wait a while longer before he can fight to reclaim his position in the Amakhosi backline. With their next fixture only two weeks away, due to their non-participation in the Nedbank Cup, Komphela will have some time to plot his side's resurgance following five-match winless streak. The Glamour Boys are currently fourth on the Absa Premiership log, with 39 points from 23 games, and trail leaders Mamelodi Sundowns by 13 points. Platinum Stars striker Eleazer Rodgers says he would like to remain with Dikwena after his contract runs out at the end of the current season. Despite reports suggesting that the club are yet to engage the striker, who has scored five goals so far this season, Rodgers has expressed his desire to stay for a second spell. “I have been moving around a lot and that has not made it easy for me to settle and find my feet. But being here at the club that believes in God has also made it much easier for me to find my feet again. “The one positive from all the moving around I’ve been doing is that it has made me stronger as a player and maybe that is why I am enjoying my time here so far. “Obviously the club has been really good to me and I would like to remain here for longer and repay them for the faith that they have shown in me.” The 31-year-old has turned out for Santos, Mamelodi Sundowns and Ajax Cape Town in the Premier Soccer League. 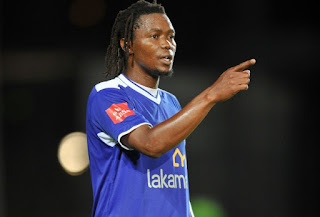 Royal Eagles have terminated the contract of defender Mbulelo Mabizela. The club severed ties with Mabizela after finding him guilty of misconduct at a disciplinary hearing. "His contract has been terminated related to misconduct," says Eagles general manager Costa Bellos. 'OJ' joined the NFD outfit in October 2015 on a deal that was due to expire at the end of June. 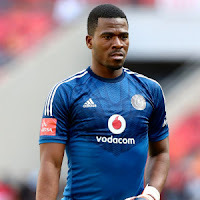 The 35-year-old saw out the end of last season with AmaZulu after he was dismissed by Mpumalanga Black Aces following a fall-out with AmaZayoni's management. Mabizela, who captained Bafana Bafana at the age of 20, landed a dream move to Tottenham Hotspur in 2003 but his stay was cut short due to off-field issues. The former Orlando Pirates star has also featured for Mamelodi Sundowns, Bidvest Wits, Ajax Cape Town, Platinum Stars and Chippa United. The Premier Soccer League (PSL) received positive feedback from delegates from several countries during the two-day FIFA Club Licensing Seminar in Johannesburg. The FIFA Club Licensing Seminar, which is being run in collaboration with CAF, kicked off last week with delegates unanimous that this project would change the face of the game globally. The PSL was represented by General Manager of Football Derek Blanckensee and Lunga Sokhela, who was representing the clubs. Also from South Africa was a SAFA delegation and the South African Football Player’s Union’s Simba Marumo. Blanckensee made a presentation to the delegates detailing the road that has been travelled by the League so far in embracing club licensing. CAF club licensing committee member Suzgo Nyirenda told delegates: “We must commend the work of the Premier Soccer League in South Africa. From what I can see, they are well advanced ahead of many of us in the African continent. I’m sure we can learn a lot of things from what they (PSL) are doing in terms of the structures they have and what they are doing.” The new Head of Professional Football, James Johnson, former Newcastle and Trinidad&Tobago goalkeeper Shaka Hislop and CAF Club Licensing Committee member Nyirenda all said the club licensing venture would go a long way in helping member federations to a more efficient and viable set-up. In his opening remarks in a workshop being attended by several federation secretary generals, senior managers, former professional players, CAF and FIFA members, Johnson, who has just been appointed Head of the Professional Football, said the club licensing was an important tool that will drive part of the broader reforms within the game. “By working together, sharing our expertise and pooling our efforts, we can make club licensing a major driver of football development – improving stadium safety, fan experience and youth football development with the ultimate goal of opening access to and improving standards of the game for players, fans, clubs and leagues across the world.” Johnson lauded CAF for making huge headway with regards to club licensing since last year, boasting 61 licensed clubs from 26 federations compared to zero at this time last year. The aim is for all member associations to implement the Club Licensing Systems and in this regard, FIFA has agreed with CAF to organise 4 sub-regional seminars this calendar year. AmaZulu have warned of a scamster using the club’s name to get people to pay to attend trials. A statement reads: “A bogus operation by an unknown individual going by the name of Mark Dawood has sprung up out nowhere claiming to be working for AmaZulu. “This person is not authorized by AmaZulu FC and we are not holding any trials whereby people have to pay R400 or any fee for that matter. This person is a fraud and we do not take this matter lightly.” Usuthu are the latest in a long line of clubs targeted by such scamsters, with Platinum Stars and Ajax Cape Town having also been hit in recent months. 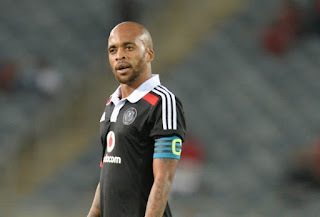 Oupa Manyisa is on the verge of resuming full training with Orlando Pirates. The midfielder has been missing from action since September after suffering a fractured ankle in his side’s goalless league draw against Polokwane City. But according to The Buccaneers’ official website, “Manyisa is awaiting to receive the green light from a specialist before he is cleared to compete in full training”. Pirates have stressed that Manyisa will not be rushed back to action, and it’s very likely that he won’t feature at all this season. Bucs’ next fixture is away to Jomo Cosmos in the Nedbank Cup this weekend.